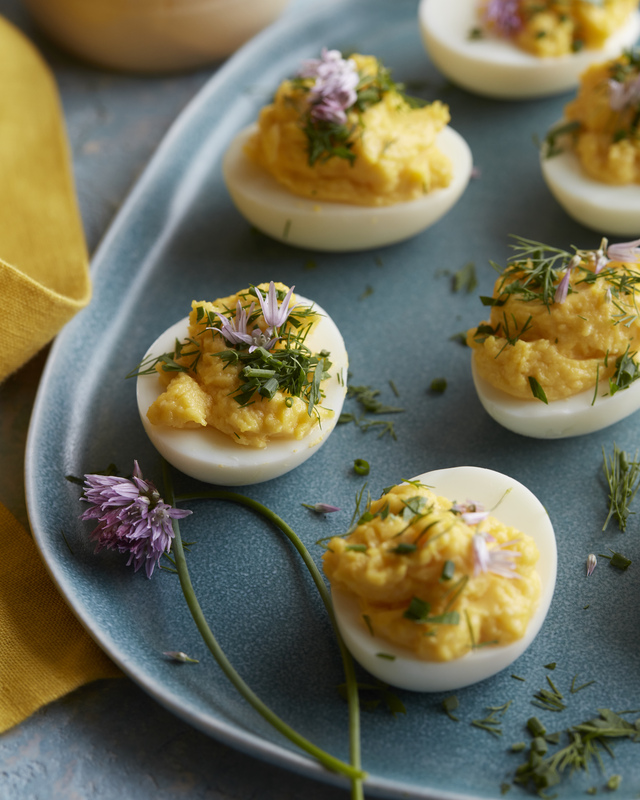 Deviled Eggs are synonymous with BBQ season and they are sure to please crowds both large and small – they come together quickly and are easy to serve. With organic eggs now widely available at most supermarkets across the country, having an equally Organic Mayonnaise to make the deviled eggs brings these full circle – even better, these eggs take full advantage of the new Organic Roasted Garlic Mayonnaise by Best Foods – they also make this mayo in Original and Spicy Chipotle, so there is sure to be something that pleases everyone. 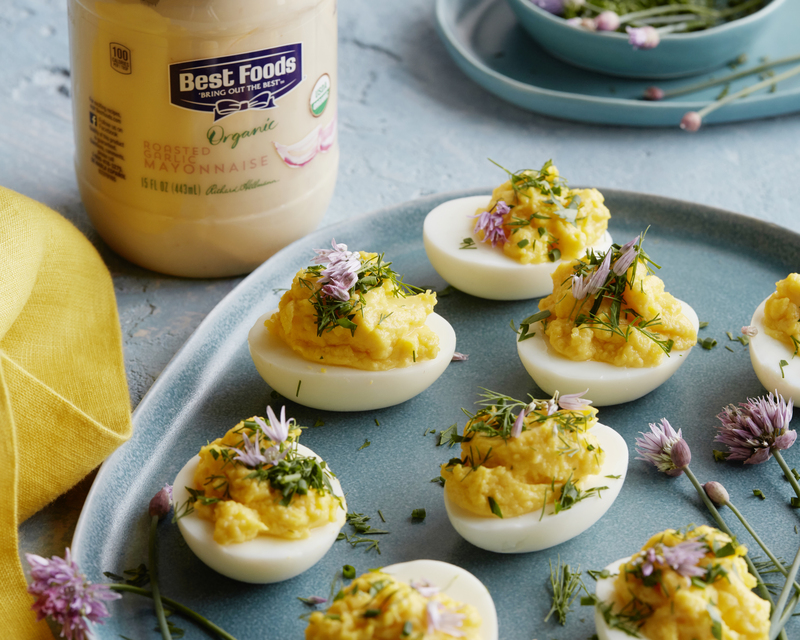 Herbed deviled eggs take on a roasted garlic flavor when you add Organic Roasted Garlic Mayo from Best Foods Mayonnaise! And honestly, these suckers disappear quickly. Optional garnish with chive flowers. 1. Slice boiled eggs in half lengthwise, remove yolk and place in a medium bowl. 2. Combine yolks, mayo, vinegar and mustard with a fork or whisk till smooth and creamy, season with salt and pepper. 3. Spoon or pipe yolk mixture into reserved eggs. Garnish with fresh chopped herbs.